Lees je liever de Nederlandse Versie? Klik dan hier. 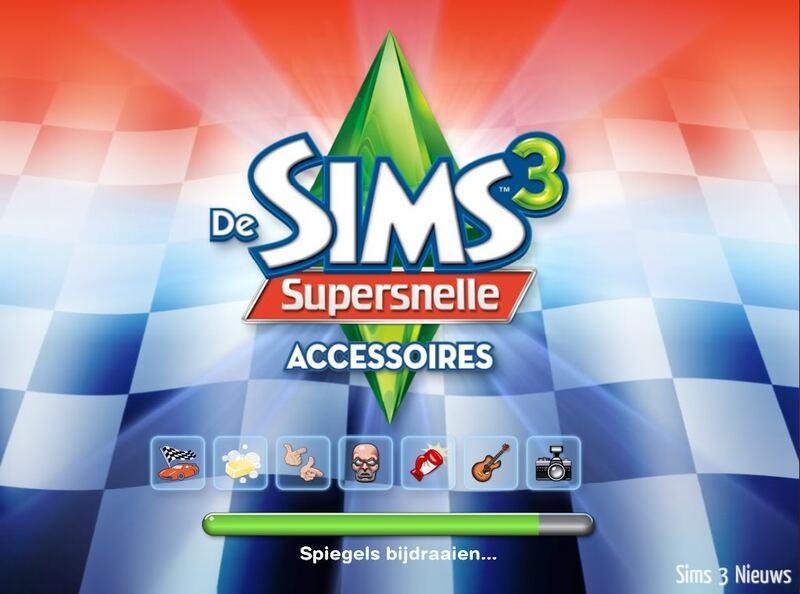 On Thursday the 9th of September 2010 The Sims 3 Fast Lane Stuff could be found in store for the first time. It’s the second stuff pack available for The Sims 3. 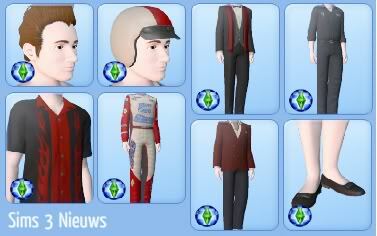 The Sims 3 Fast Lane Stuff is meanly about the new cars, but fortunately there are also a lot of new hairdo’s, clothing and accessory. 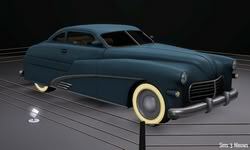 All the new items are divided into four themes; Racing, Intrigue, Rockabilly and Classic Luxury. This stuff pack for The Sims 3 has all different kinds of clothing for men and women. We have decided to just show them all and not to divide them into the for themes. We will talk about these themes later on in this review. The second screen shows the items for the men separate. The second screen shows the items for the women separate. 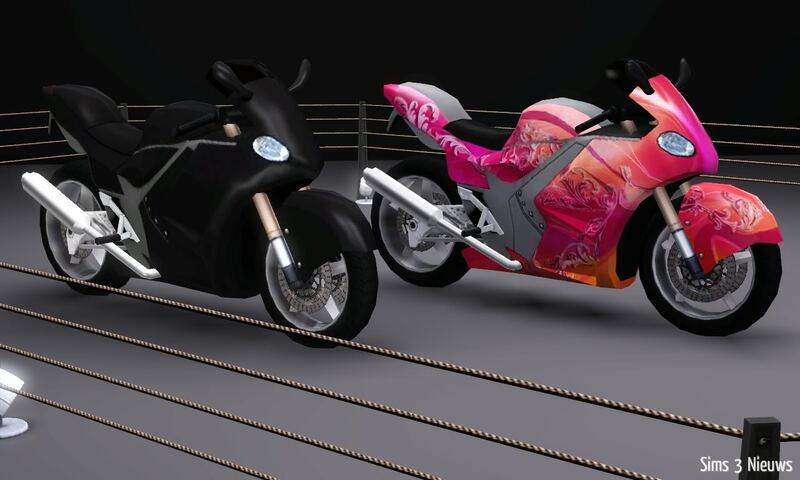 A minus point is that there, apart from a couple of helmets and bracelets, is nothing nice for the children and teens in Create A Sim. The Racing theme is basically the biggest theme of The Sims 3 Fast Lane Stuff. 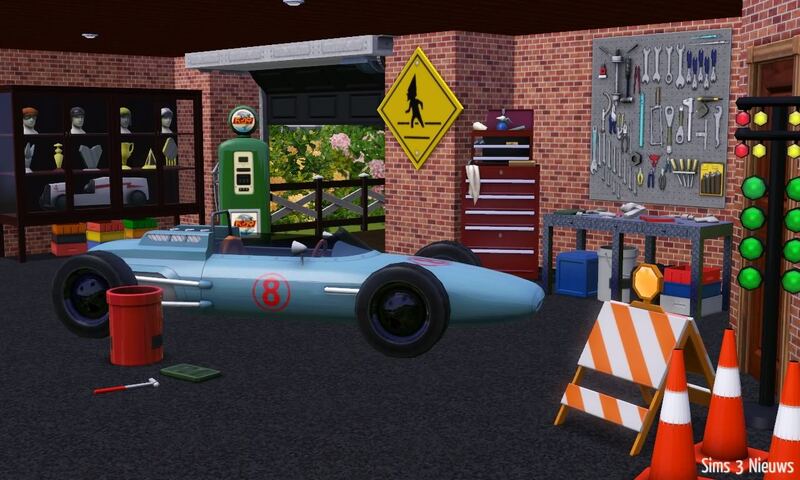 With these objects, plus the cars and motors, you could decorate a beautiful garage. 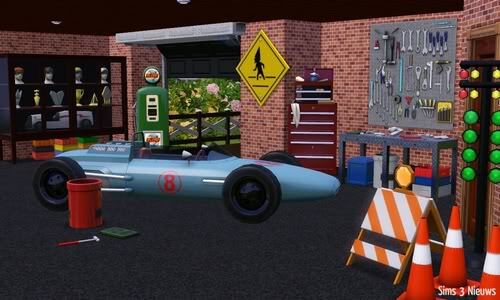 But if your Sim is a carfreak you could also build him a car themed hobby room. There are a lot of pretty accessory, like the streetsign with a gnome on it, a big trophy-cabinet and some lighting. 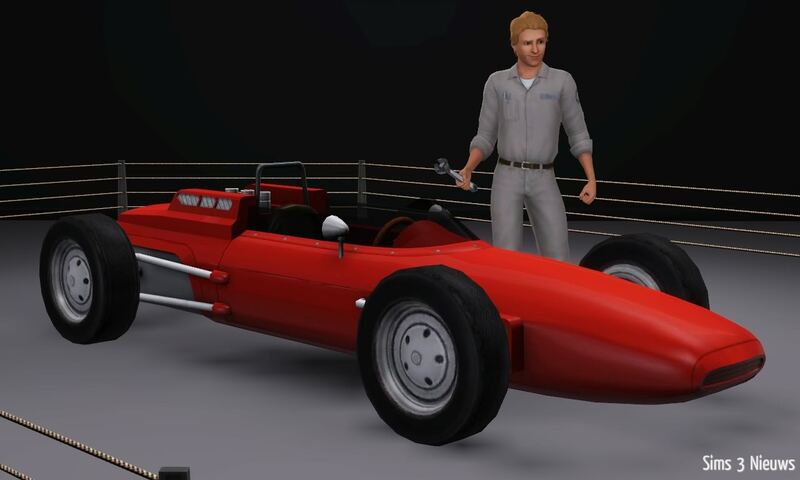 The other items of the Racing theme are focussed on the maintenance of cars like a tool set, store boxes, a work-bench and a lot more. And of course there are the cars and motors which will drive you through town in style! The Velocity §175.000, The Fitzgerald §22.000 and the motors: The Jamboree §4.500. 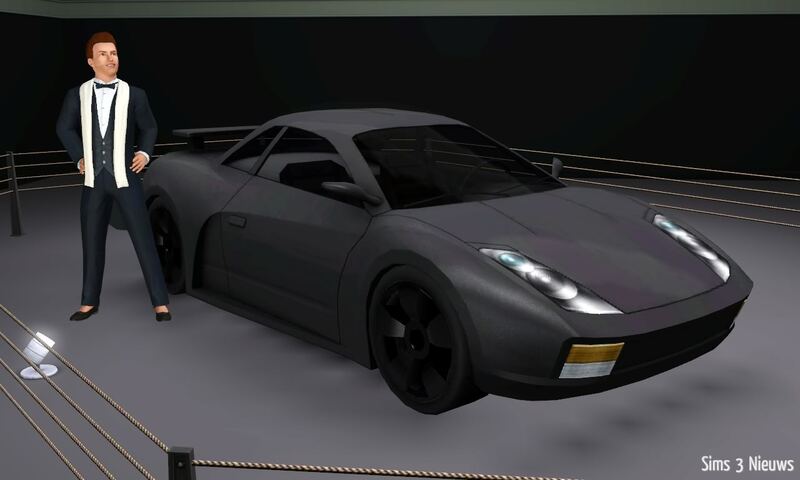 These vehicles already shows that you need a lot of money to have a nice ride. We don’t need a lot of words to describe the Intrigue items: there are only three cars. We have no clue why there isn’t a set of Furniture with this theme. Probably because the cars are so expansive, your Sim won’t have any Simoleons left to buy furniture. The Empire Eidolon §110.000, the Requiescence §90.000 and the La Matea §41.000. 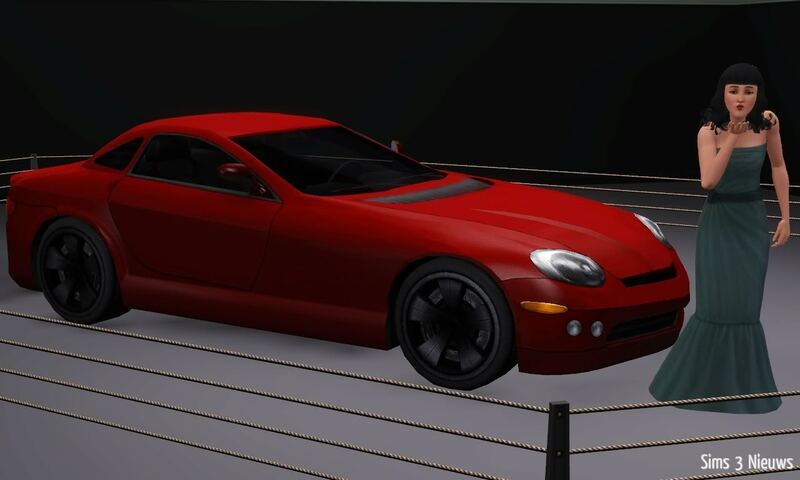 Again, the cars a really pricy but on the other hand, you will have a really fast car and the whole neighborhood and your friends will be jealous. 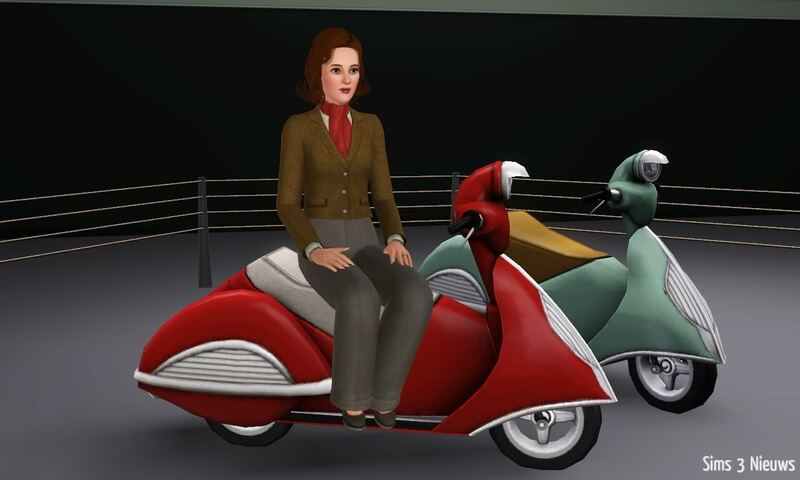 The Rockabilly items take you back to the rock & roll times and the team, which creates items for The Sims 3 Store, already made a couple of items which match these Rockabilly items exactly. There is a bar, a carpet, a lamp, some wall decoration and a gas station, which is only for decoration unfortunately. And Fast Lane also adds a Rockabilly channel on your radio! The three cars of Rockabilly are really fun but again really pricy. The Rock Town 3000 §14.500, The Heartbreak Hot Rod §8.100 and The Summertime Souped-Up Ride §47.000. 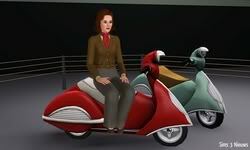 And for the fans there is a new scoot mobile for only §3.500. 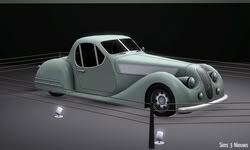 Last but not least there is the Classic Luxury items for the Sims who have a classic taste and who like attractive items. This theme has a couch, chair, desk, candles and a teaset. 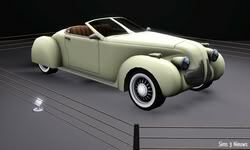 The two cars of this theme are the real classics: The Anachronous Automobile §27.000 and The Classic Convertible §43.000. This last one is hot when you buy it in red, but it costs a fortune. Like I already said, this stuff packs adds a channel to your radio: a Rockabilly radio channel. Your Sims can also build a relationship with their car and eventually your car could end up as a real friend. After your car is visible under your friend button you can name it. There is also a new trait: Vehicle Enthusiast. 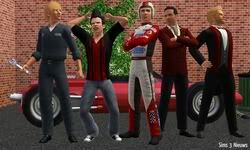 This means that your Sim can name their car immediately and their friendship will grow faster. But EA already added these last opportunities in their latest patch. 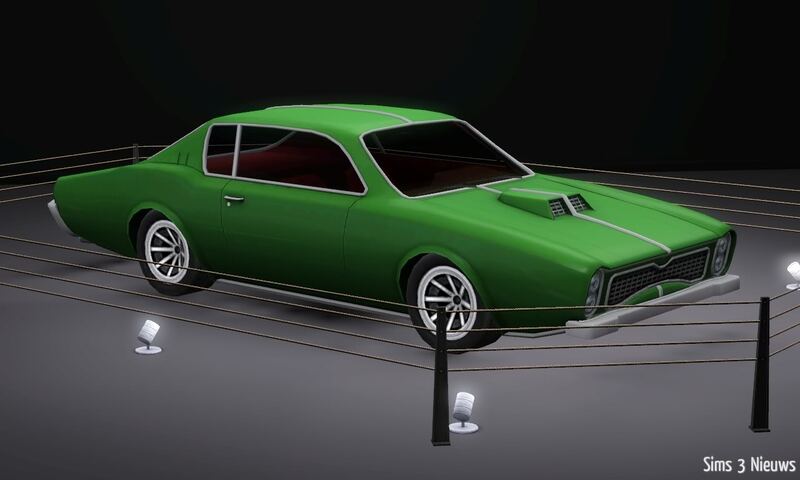 So if your game is up-to-date your Sim can be a Vehicle Enthusiast and build a relationship with their car. 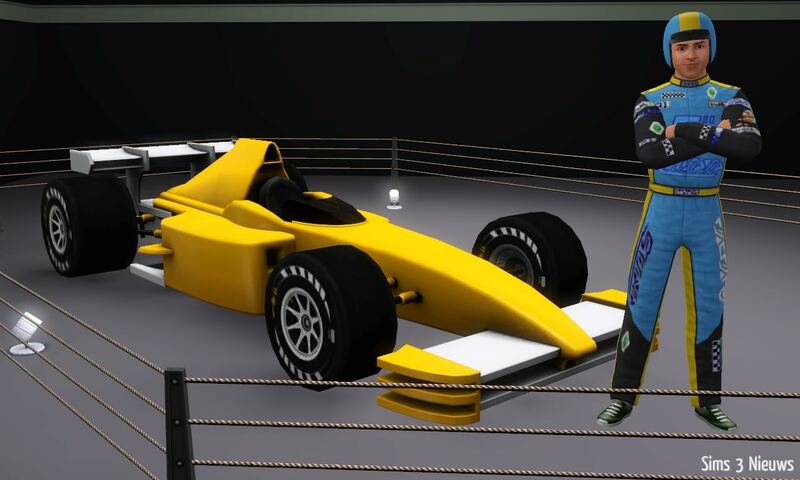 So you don’t need The Sims 3 Fast Lane Stuff pack for this. 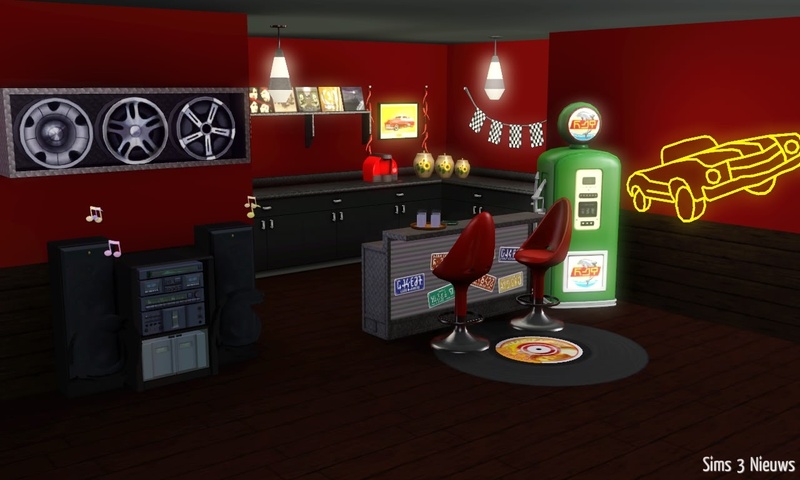 The recommended retail price for The Sims 3 Fast Lane Stuff pack is 19,99 Euros and contains, just like The Sims 3 High End Loft, about 60 items. But the big questions is: is he worth it? I think I would really like the Classic Luxury theme. 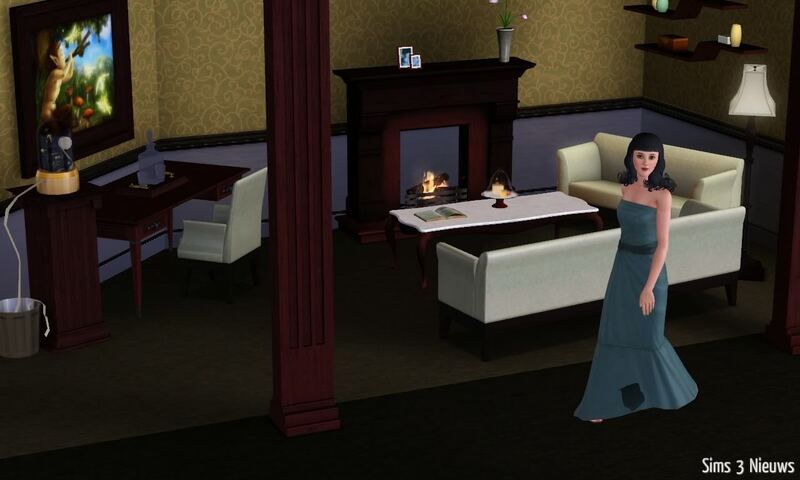 I really enjoy it when my Sim looks luxurious and stylish, and the HP’s will add some . Since EA announced this stuff pack I did not get the ‘tickly’ feeling I always get after a announcement. I wasn’t enthustiastic about the content, and the title of the stuff pack didn’t make it better. But after I played it I was surprised, especially the content adds a lot of new and fun items to your game. And I am sure a lot of players will use them a lot. 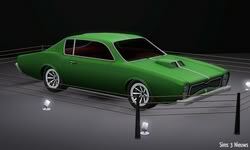 Creating a garage is normally just putting a car between four walls and add a door. But this stuff packs ends that era. But there are also a lot of new furneture, the couches and stools are my favorite. Let’s go back to the main focus, the cars. These are lovely, there are all kinds of themes and everyone should be able to find one that suits them. There is a minus point though, it feels like the new items are a bit random. I prefer one theme with a lot of objects than a bit of everything so you can mix and match. I don’t own the game but I have seen enough. I think 19 Euros is too much, the game doesn’t add that many items. The carlovers will like this stuff pack, I am not one of them. 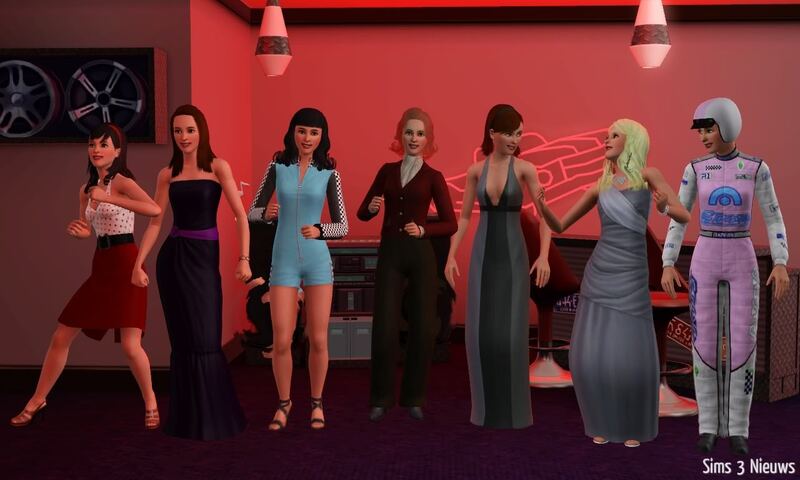 I will wait for The Sims 3 Late Night and The Sims 3 for consoles. I think The Sims 3 Fast Lane Stuff is a nice addition to the vehicles, but they drive really fast! I just love the variation of the new themes. Although there aren’t a lot of Furniture, I like them. This stuff pack isn’t a must have, but I really wouldn’t want to miss is. The biggest down side of Fast Lane is the fact that you can’t decorate a complete house with the given items. The first stuff pack (The Sims 3 High End Loft stuff) gave you the opportunity to do so. 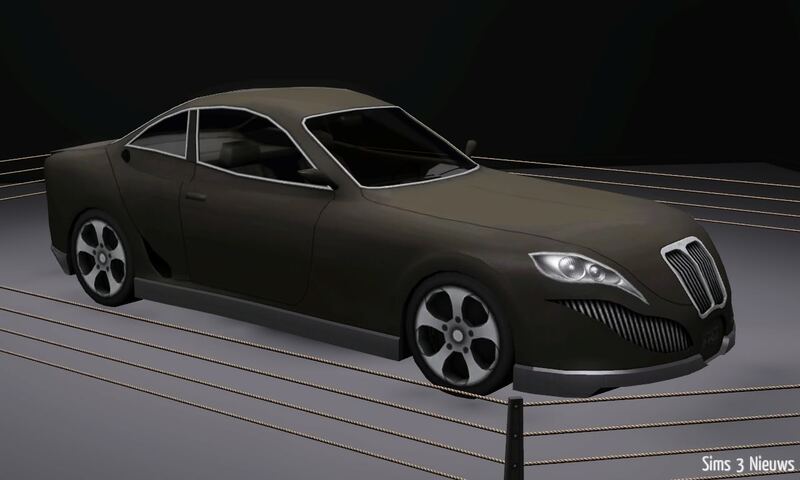 But the Classic Luxury theme and the cars compensate this all. I still think it is odd that Intrigue only contains three cars and no furniture. 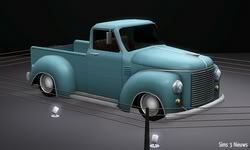 This stuff pack is really expansive and if you or your Sims aren’t too fond of cars, you shouldn’t buy it. My Sims liked it though, and that is paramount.